Writing an observation essay requires special writing skills and a lot of imagination. In contrast with most types of essays, an observation essay should contain personal observations, impressions and a conclusion corresponding to them. The main goal of your observation essay will be to describe your feelings and perception of a given object, event, or personality. Your teacher requires you to demonstrate your watchfulness, creativity and logical consistency. Hence, an observation essay is an amalgamation of a short story, personal diary, and an academic paper. Firstly, it describes a situation that you were involved in, or a story told by another person; secondly, it contains personal and subjective feelings; and thirdly, it still has to follow some logical rules in order to arrive at a general conclusion. All these features should be included, otherwise, the observation essay would be a failure. An observation essay is an amalgamation of a short story, personal diary, and an academic paper. You should pay attention to several principles which may improve the style and the contents of your observation essay. Try to describe your latest impressions only. If you are assigned writing an observation essay, don’t hesitate; choose a situation that has happened in the last few days. What is so interesting about the situation? Is it a situation which often happens to you, or this has been your first time? Do other people experience the same situation in the same way as you do? (this question means that you have something very interesting to say, which no one has ever said before, or has noticed before). In the observation essay use such literary devices as metaphors, symbols, analogies, etc. Try to show your respect for language. Use rich vocabulary and avoid repetitions. Make sure to inspire yourself. Try to imagine that you are experiencing the situation in question again. Try to make the feelings stronger and start writing down everything that comes to your mind. Thus, your observation paper will be filled with emotions and passion, and will seem more attractive. However, don’t rely too much on emotions, be careful! The event that you depict in the observation essay is never a one-time event in the history of mankind. Try to find analogies with other cases or occurrences. Is there any theory that could argument it? Can you interpret it within the framework of a given conception? For instance, if you observe the behavior of a person at a given moment, can you explain it from a psychologist viewpoint? As an option, you can refer to a given theory in the introduction of the observation paper and to exemplify it with the situation described in the essay. Thus, it will be easier for the reader to catch your thought and to follow the observation essay. Do not forget to put your situation in context, i.e. to inform the reader about the place and time of the situation, about people involved, and other important facts which will make interpretation easier. Keeping all these tips in mind, try to demonstrate your creativity and ability to depict an interesting situation. Be yourself, write personally and you will be rewarded by the reader’s attention, and perhaps by a good grade. 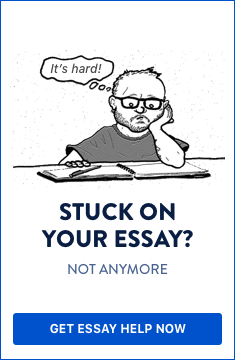 Do you need help with writing an observation essay?